Consultations can be either general in nature, or address specific topics such as health concerns, behaviour issues, lifestyle changes, emotional trauma, etc. Please note that Anna works exclusively with wild species, both in situ and captive (rescue and rehabilitation). She no longer works with domestic animals, instead focussing on various conservation and ecosystem projects - such as wildfire relief, antipoaching assistance, reforestation projects, ocean research, nature reserve management and community initiatives. Various facilitated workshops are offered to guide you to rediscover your inner knowledge, trust your intuition and receive messages from the natural world. 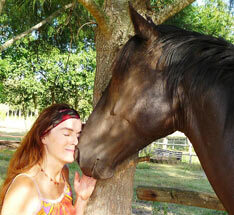 Explore the essentials on how to get in touch with animals telepathically. Discover the levels of communication possible. Learn how to experience animals' perspectives and how to expand your natural telepathic abilities. Enjoy simple and fun exercises that open your heart and increase your understanding of animals. These sessions are between two and six hours in duration. This practical, three-day course is only for those who have already completed telepathic communication training more than six month prior. You are given tools for refining and strengthening your skills. We communicate with real animals and explore ethical and contextual matters whilst working deeply on ourselves. With personal guidance, practice and individual coaching from Anna, you will leave the workshop empowered to take the skills into your chosen endeavours in service to the more-than-human world. Please visit the Events & Workshops page for details as they become available. 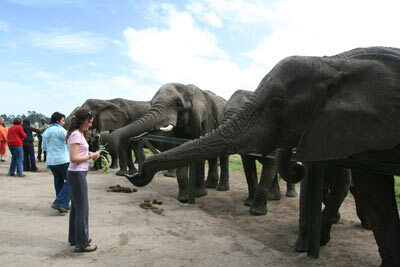 These outdoor, nature-based retreats take place in wilderness areas or private nature reserves. Through awareness-expanding routines and telepathic commuication we explore all the kingdoms of nature and learn from the animals themselves. Discover tracking as an interpretive art and develop your intuition and senses in ways that you can apply in other aspects of your life. Travel into realms often unnoticed by humans and intensify your awareness of the intelligence, beauty and wisdom of all species. Participants leave with tools that will foster a richer appreciation of the natural world. See the Events page for current offerings or subscribe to our list to be kept informed.